country music hall of fame – Play UBass! I got to met a couple of really fantastic musicians on my trip to Nashville. One of the highlights was when I went to The Station Inn Monday on June 20 2011. 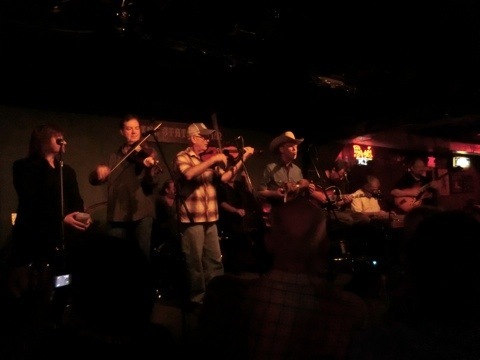 The fabulous western swing band ”The Time Jumpers” played this night. They play every Monday. It sure was one of my best concert experiences! Their musicianship and listening skills was ”top-top-notch”! I was lucky. 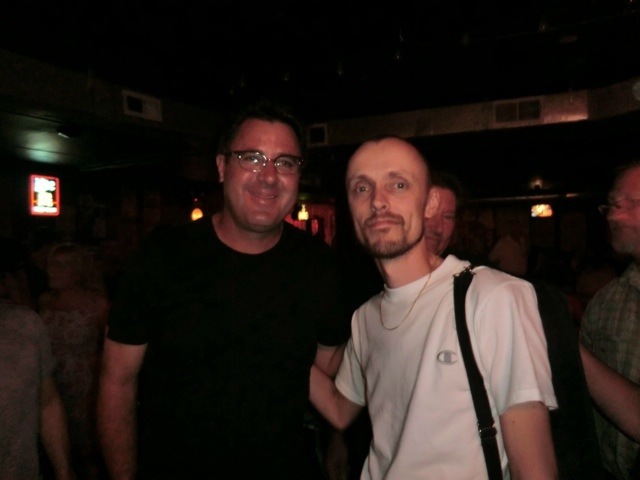 This Monday one of my country music heroes, Vince Gill was one of the musicians. He sings and plays in the band when he’s not on tour. If you ever get the chance to go to Nashville don’t miss out on one of their shows! Words can’t describe the sheer joy you felt from the stage and the audience. PURE LIVE MUSIC FROM HEART TO HEART! In the intermission I was able to meet Vince Gill. See pic below! I also got to talk to the bass player, Dennis Crouch. He’s an amazing upright bass player that has played many different styles. He played on the Robert Plant, Alison Krauss project, ”Raising Sand”, just to name one of many projects. 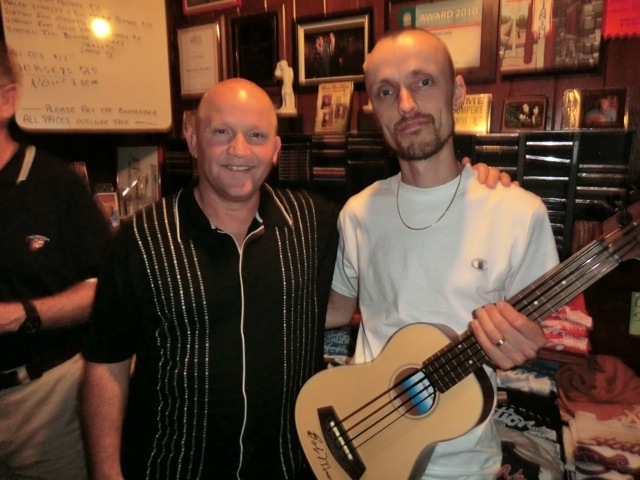 I had my Ubass with me, didnt want to keep in in the car during the show, and showed it to Dennis. He had seen them before. All of a sudden he gets all exited. –”Look! There’s Bob Moore!” I’ve got to pay homage to him!, Dennis said. Then I met THE country bass player! He has played on a lot of classic country hits! He has done about 17.000 sessions! 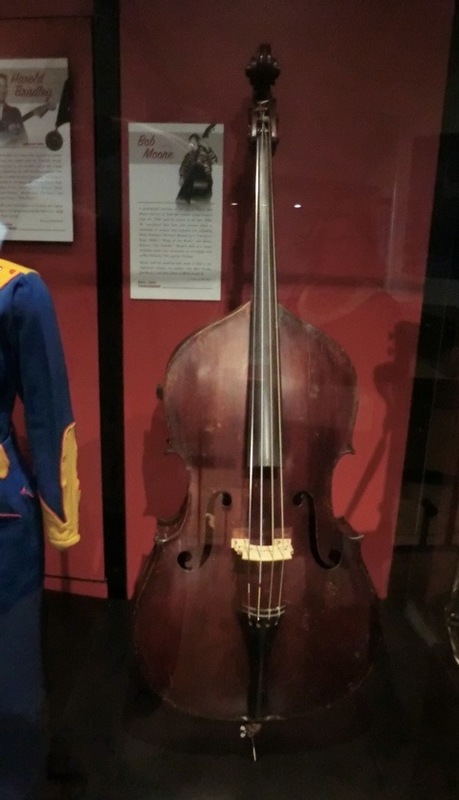 One of he’s basses are on display at ”The Country Music Hall of Fame and Museum” in downtown Nashville and he got inducted in the Nashville Musicians Hall of Fame in 2007! He was recently featured in the August (2011) issue of Bass Player Magazine. In all the excitement I wasn’t able to get my picture taken with me and Bob. BUT I got him to write his autograph on my UBass! 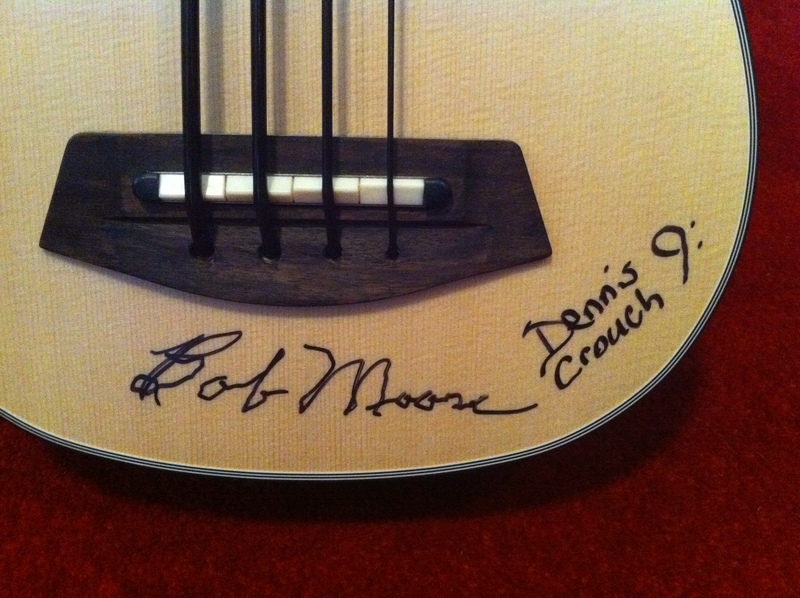 I also got Mr Crouch to sign the bass. Two true country music (and beyond) heavy weights! WOW what a night it was! I also got to meet some truly wonderful people in the audience. Thanks for a fabulous night at The Station Inn!